Room assignments for Spring 2019 Math Common Finals have been finalized. Wright State’s Department of Mathematics and Statistics offers undergraduate and graduate degree programs that can help you get to where you want to go. The Bachelor of Science in mathematics program offers three concentrations: pure mathematics, applied mathematics, and mathematics education. These three programs, as well as the Bachelor of Science in Statistics program, are adaptable to many of your potential postgraduate goals, from various scientific or professional careers to graduate school. The Bachelor of Arts program provides a broad background in mathematics with a liberal arts orientation. 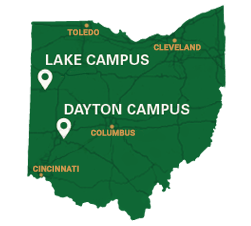 Wright State’s dual degree programs in applied mathematics applied statistics, and mathematics allows you to earn both your B.S. and M.S. degrees in less time than the traditional degree path. Of course, you can enroll in any of the three master’s degree programs even if you haven’t elected the dual degree option. Complete your studies and broaden your career horizons with a Ph.D. in interdisciplinary applied science and mathematics. Pursue directed research alongside faculty members who believe in your pioneering potential. You will benefit from their engagement in original research in pure and applied mathematics, statistics, and mathematics education. Following graduation, you can join other alumni in finding important uses in virtually all facets of scientific and commercial activity. The mathematical sciences are particularly well-suited as languages for the quantitative analysis of complex problems, whether these problems arise in engineering, biological, economic, or a myriad other contexts. The study of mathematics and statistics is a rewarding endeavor, both personally and professionally. Explore the world of mathematics and statistics with us. Our academic programs include many essential course offerings, including calculus, differential equations with matrix algebra, elementary linear algebra, and complex variables. Joseph Sjoberg was good at math and Wright State University offered the Applied Mathematics program he wanted along with the added bonus of being close to home. He grew up in Huber Heights and wanted to remain local while attending college.